We’re running a Kickstarter campaign to fund the first production run of a trilogy of new products: Magus, Wizard and Alchemist. The Kickstarter got fully funded in less than 5 days, so now it’s all systems go! 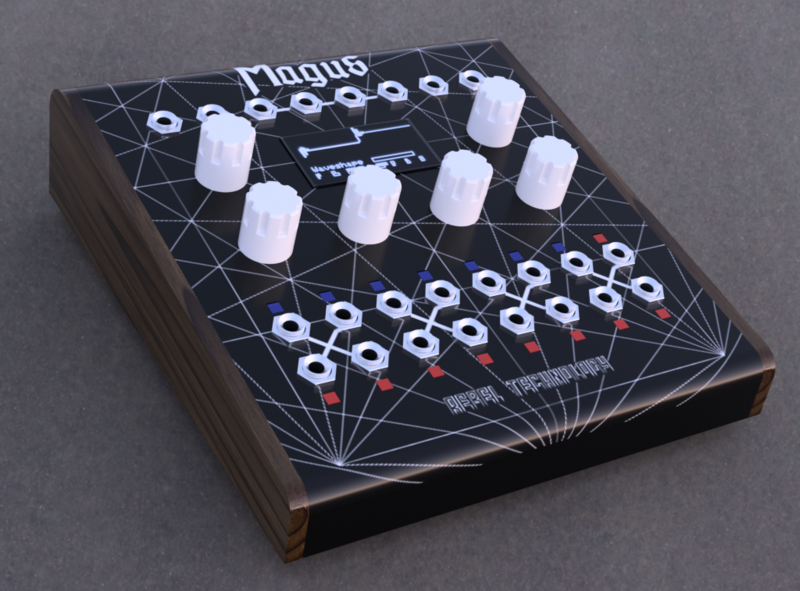 The Magus is a uniquely patchable, stand-alone synthesizer based on our OWL platform. That means it will run more than 200 patch programs already available in our patch library. It features 20 bidirectional patch points that can be configured as either inputs or outputs, both for self-patching and endless integration possibilities with other gear. There’s a Eurorack version, a Timeless deluxe version in cherry wood, and two smaller devices all available as part of the Kickstarter. So if you haven’t done so already, get on to the campaign page and make your pledge!